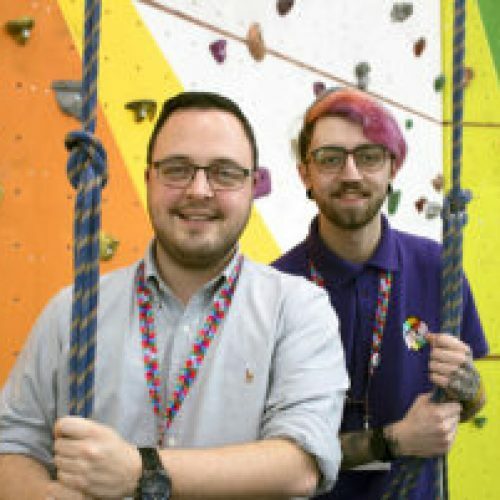 The Hive is hoping for a special Christmas present this year as we appeal for donations to help launch a dedicated mentoring project that will benefit some of the most vulnerable and disaffected young people in the borough by tackling issues such as bullying, self-esteem, self-harm and the effects of family breakdown. As part of the Big Give’s Christmas Challenge, the UK’s biggest online match funding campaign, we are appealing to businesses and individuals in the region to help us raise £12,500. 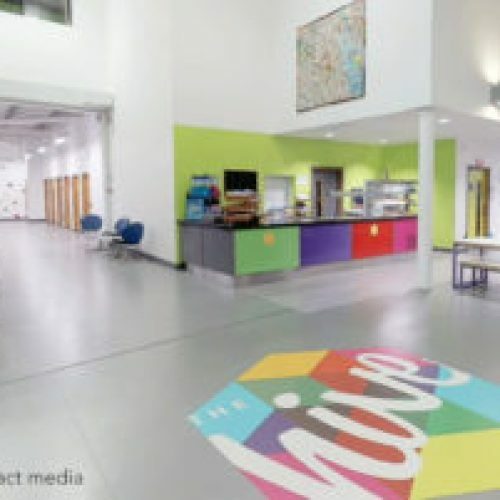 Anyone donating to The Hive’s cause during Christmas Challenge Week will see their donation match-funded giving them the opportunity to make twice the impact with the money they pledge. We have set ourselves an overall fundraising target of £25,000 to support the mentoring project and have already raised half of this amount thanks to donor pledges and a ‘Champion’ funder secured via The Big Give. 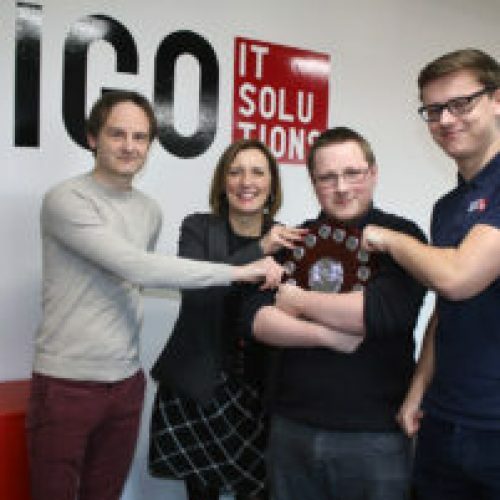 Additional funds raised during Christmas Challenge Week will be crucial to achieving the overall target and enabling The Hive to implement the mentoring scheme. 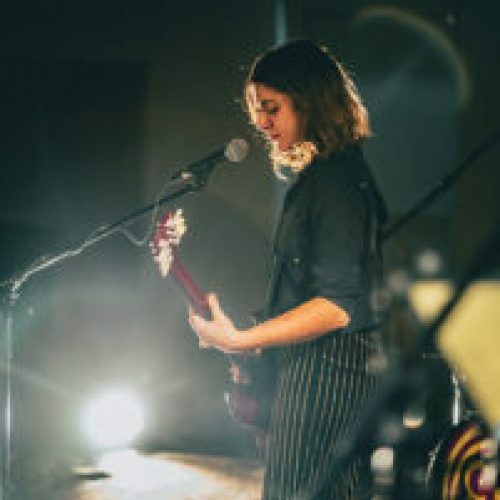 Under the mentoring project plans we aim to recruit a mentoring co-ordinator along with 25 volunteer mentors who will be trained up before working with between 25-50 young people over a 12-month period to help them overcome a variety of issues. The ultimate goal of the proposed project is to enable mentees to take control of their lives and achieve their potential. 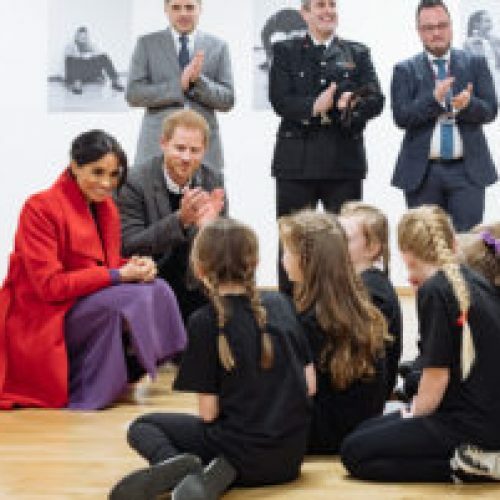 It will focus on engendering increased confidence, increasing school attendance and attainment, improving behaviour, boosting emotional resilience and reducing self-harm, along with helping youngsters to develop aspirations and motivation. 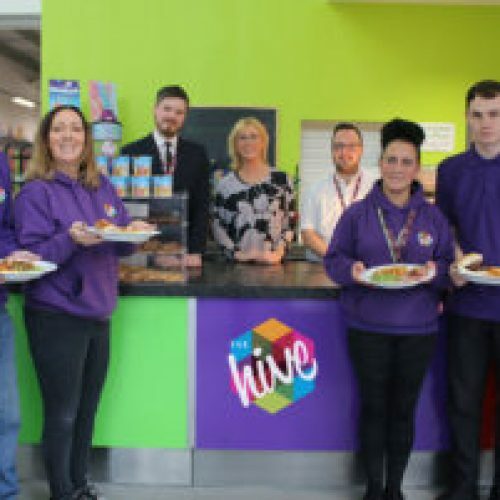 Appealing to the public to help support The Hive’s mentoring project plans, Chief Executive, Stuart Barnes said, “We understand that at this time of year there are a lot of good causes competing for support and we are very grateful for any donations we receive. 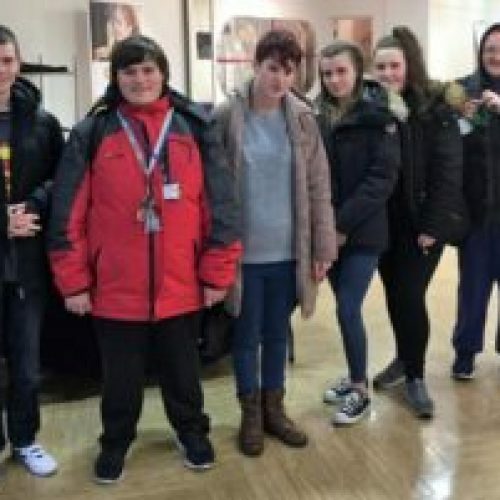 What we can guarantee is that by supporting our mentoring project through The Christmas Challenge campaign, people will be actively improving the lives of young people who are facing a range of issues, right on their doorstep. We have already identified more than 30 young people who attend The Hive and are in immediate need of mentoring. The Christmas Challenge 2017 went live at midday on #GivingTuesday 28th November and runs until midday on Tuesday 5th December. The minimum donation is £5 and all donations made during Christmas Challenge Week will be match-funded, effectively doubling the donation. 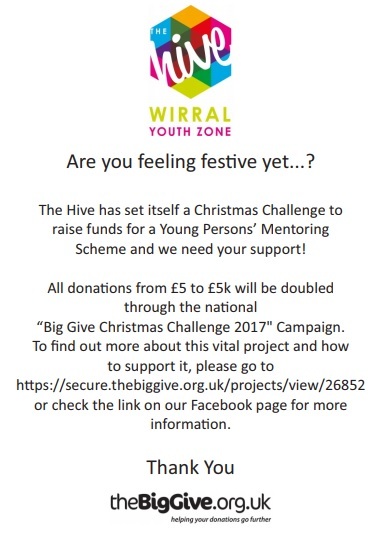 Donate to The Hive, Wirral Youth Zone through the Big Give to help support their Mentoring For Young People project.